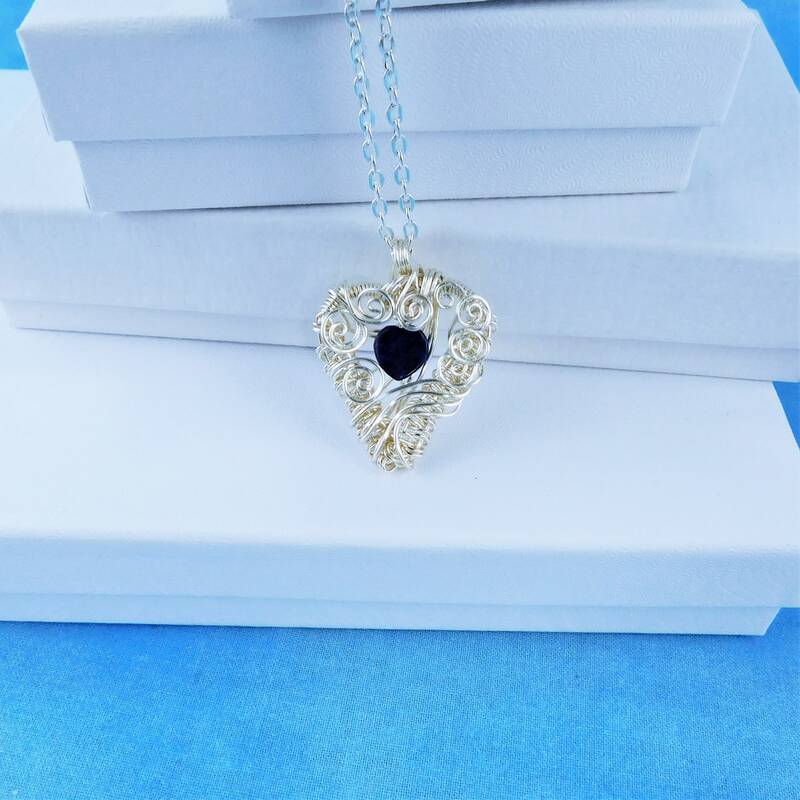 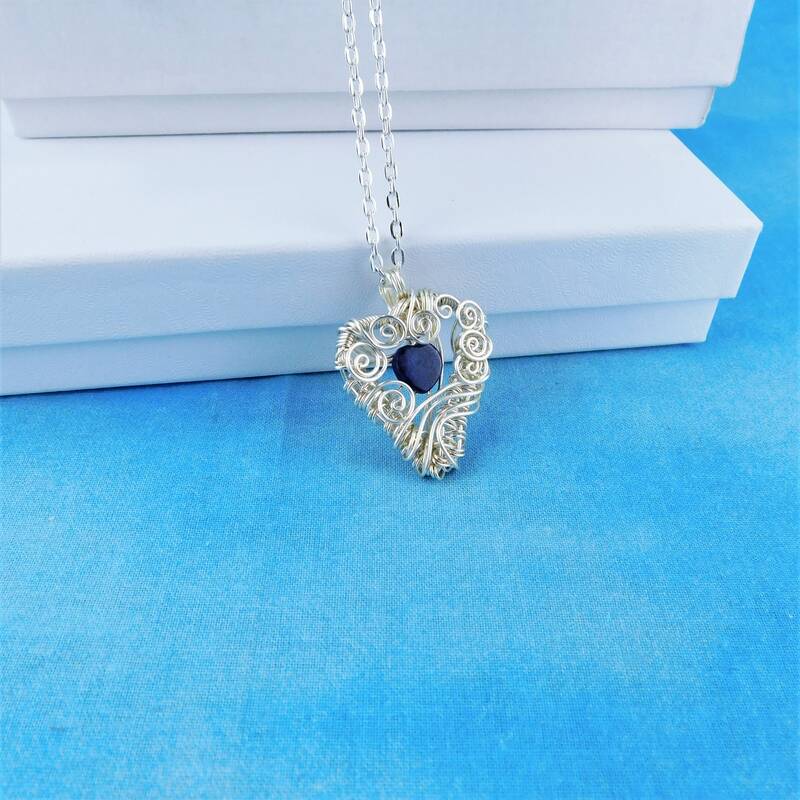 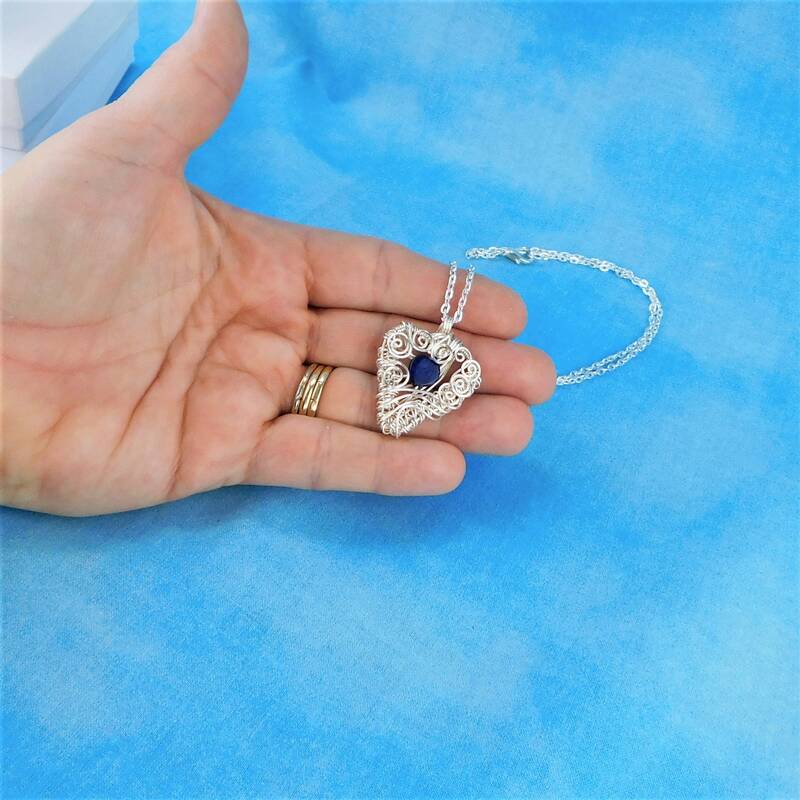 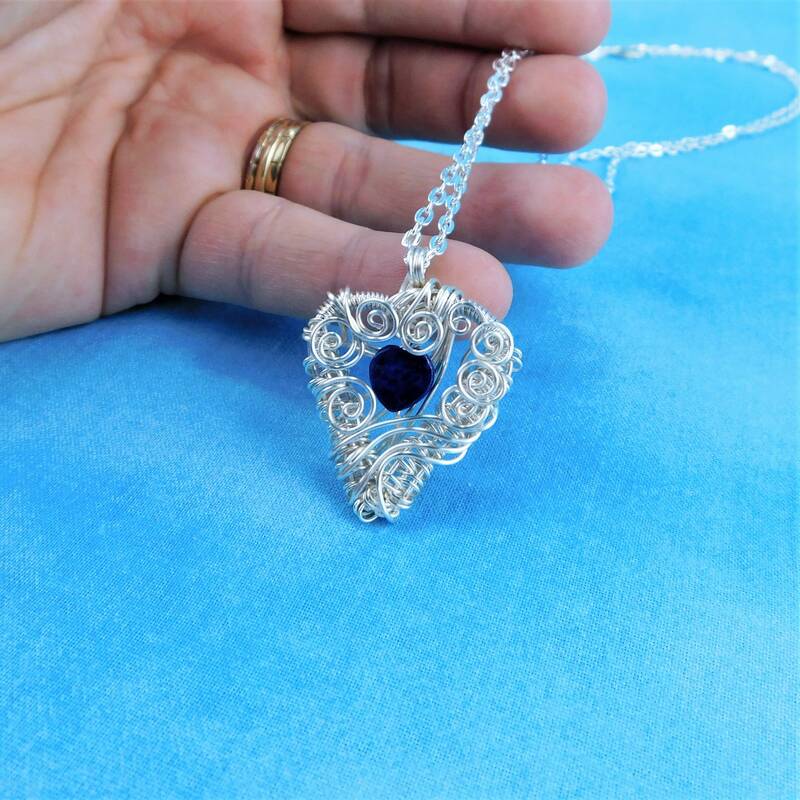 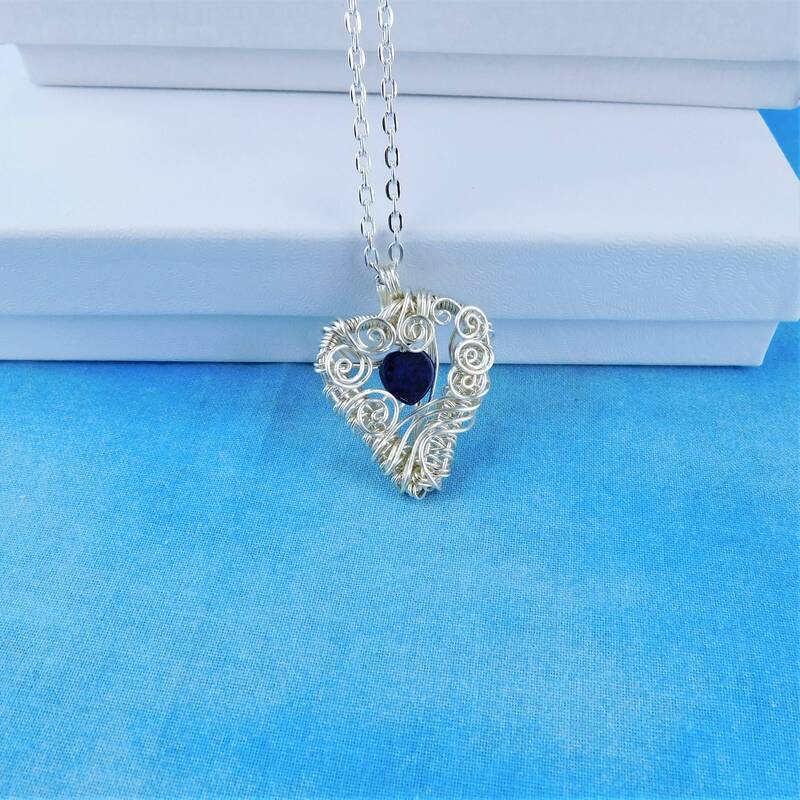 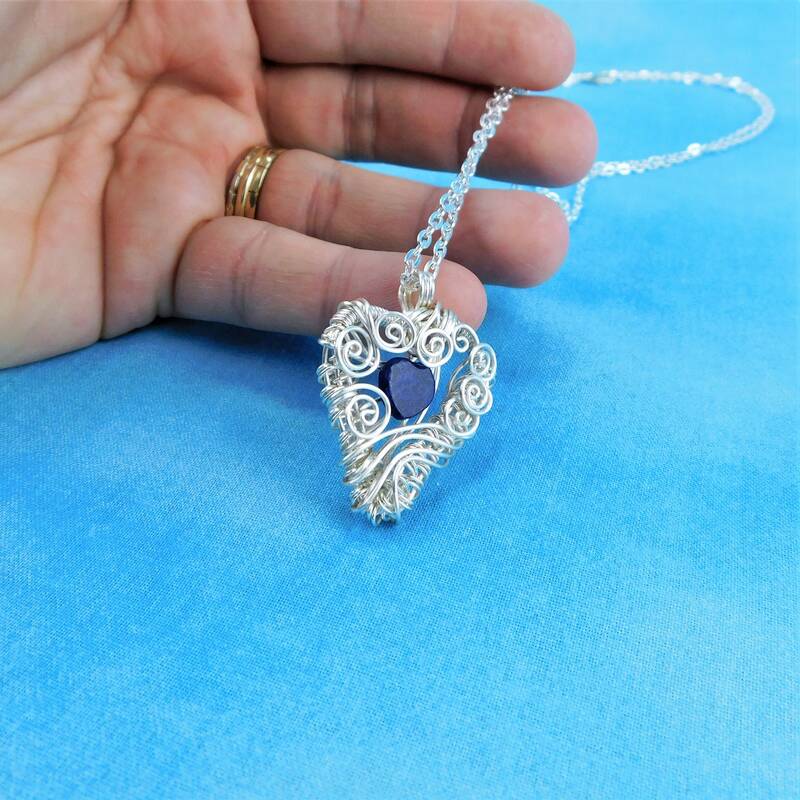 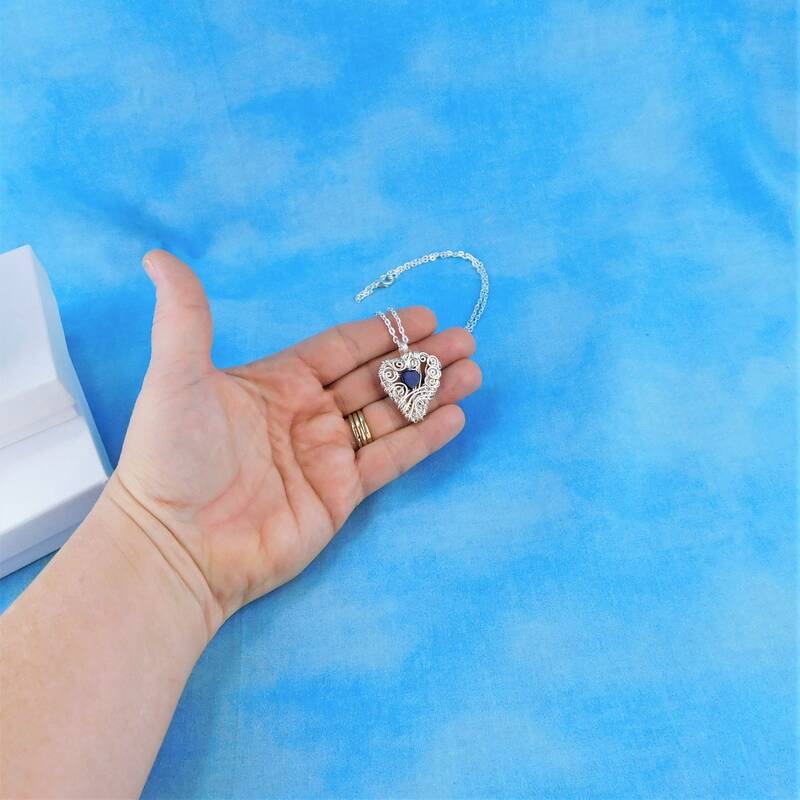 A single lapis lazuli heart is nested within an artisan crafted, heart shaped woven wire frame. 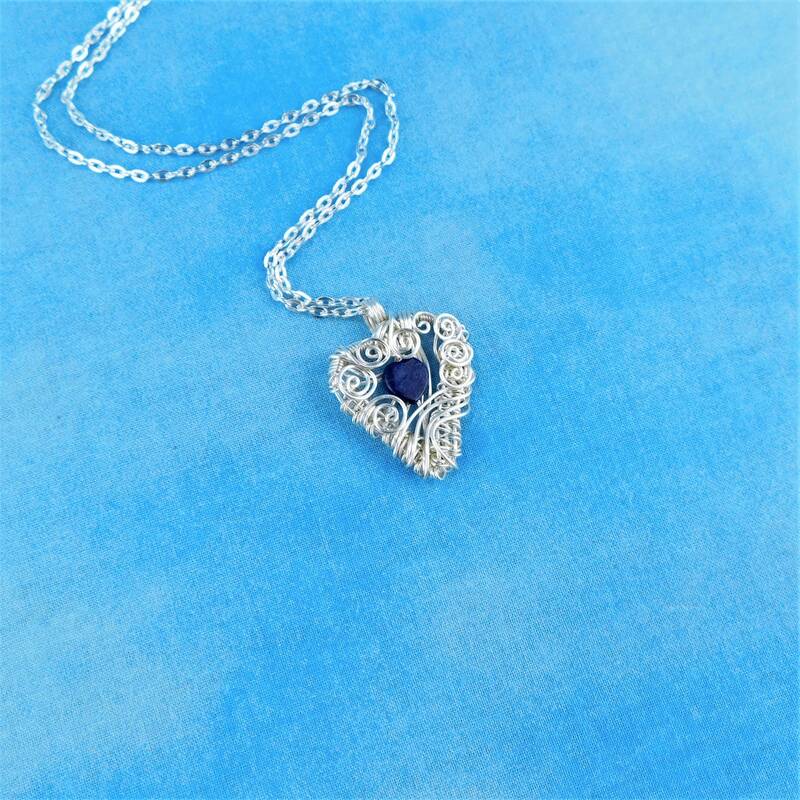 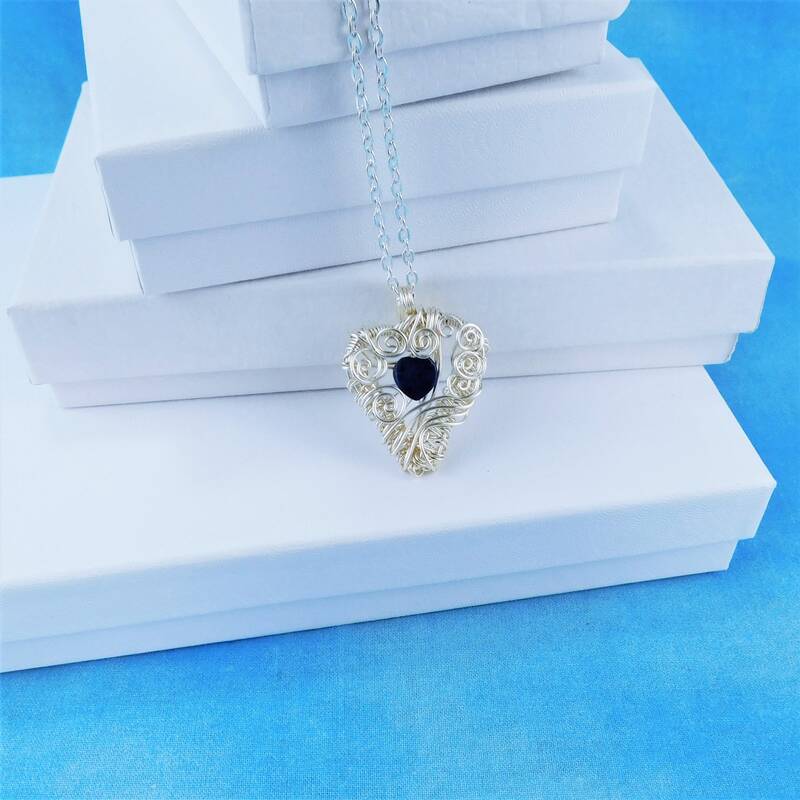 The sweeping strands of wire shine behind the heart, creating a romantic, feminine feeling. 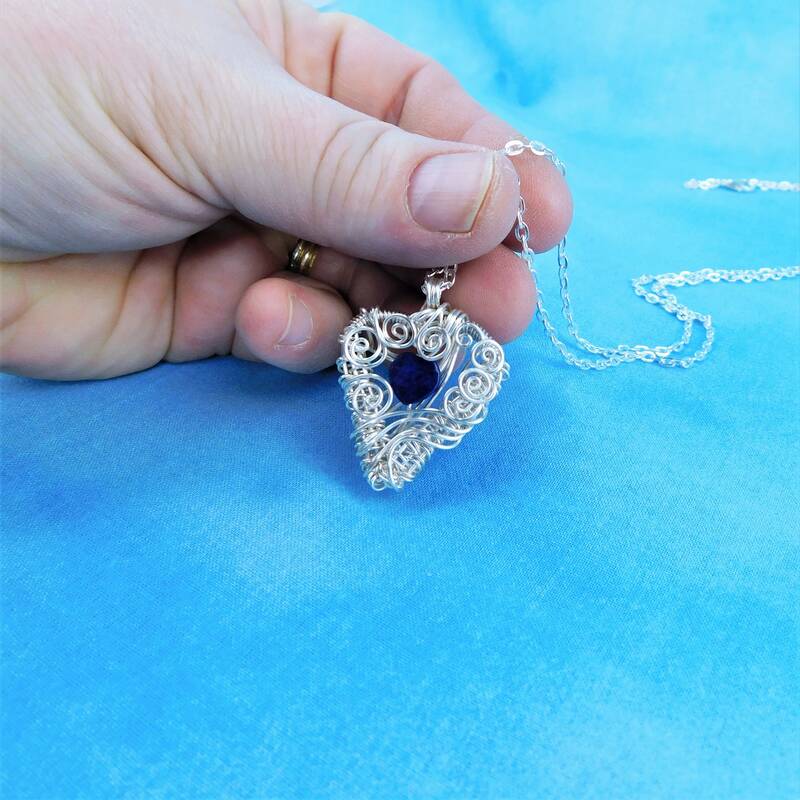 The pendant measures 1 inch by 1 inch and comes with a FREE coordinating chain with lobster claw clasp, measured to your preferred length.